As I write this brief about Loreena McKennitt, she is actually performing live for the first time in Argentina after almost 30 years of experience as part of her first South American tour , featuring two shows in Buenos Aires, and also in Brazil, (October 27th in Porto Alegre , October 28th in Rio de Janeiro , to finish lastly in 30th/31st in Sao Paulo) . As can be seen in this letter I kept from Quinlan Road dated in 1994, it was unthinkable by those days an event of this magnitude for the high costs addressed , but often the more we wish unattainable things , they finally come true, and I have had to wait almost 21 years since my first correspondence with Loreena for this to occur , a meeting stuck in my memory and will surely be in all of her fans in Argentina . 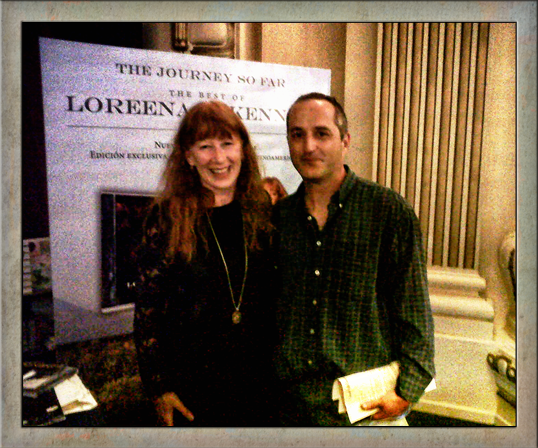 Since long ago I acknowledged that Loreena liked to take time for her fans and likes to be in contact with them … I confirmed it last Monday during an event organized by her label at a local bookstore . There, stoic (despite a sore back )she received one by one to all her fans by dedicating a special time to listen and sign their CDs . for more than 2 hours! It was for me a wonderful meeting , one of those meetings in which one tunes up from the very beginning and perceives that you know each other for years. 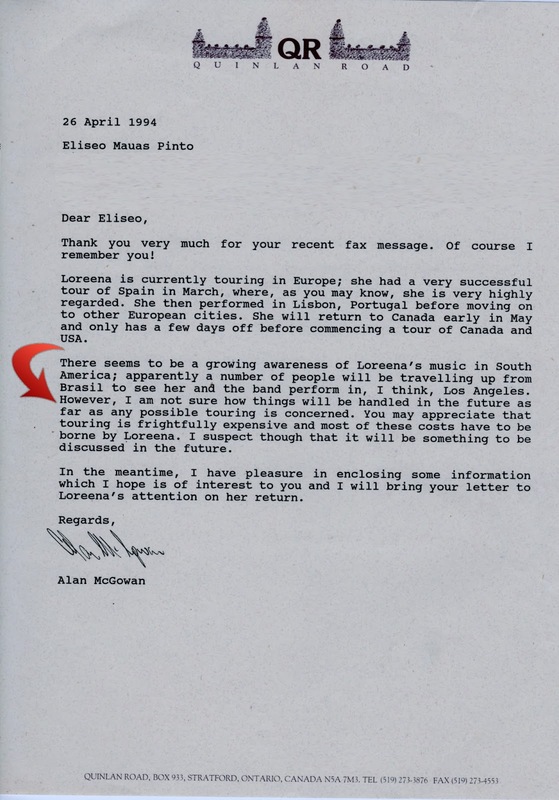 Loreena received some memorabilia from me as the first review issued by me in the local “Discover” magazine in December 1994 edited by the celebrated Andres Valle ( responsible for the eponymous record store and a pioneer in the selling CDs of Celtic music ) a copy of the CD ” Awen ” by BRAN , and a greeting from the entire community of my Facebook Page “Amigos Celtas” , which was welcomed and kindly returned. Official Press – September 20th, 2013. An album that captures the scope and diversity of Loreena’s catalogue and her travels is about to be released, first in Latin America and early next year in other parts of the world. The Journey So Far – The Best of Loreena McKennitt, is now on sale in Argentina and Brazil and available in those two countries through iTunes. The Journey So Far is also being released in Argentina and Brazil in advance of other locations because Loreena is about to embark on her first Latin American Tour. The tour kicks off Oct. 24, 2013 in Buenos Aires and will include performances of many of the songs featured on the album. The album is also being released in Denmark on Oct. 28 to coincide with the DVD release of Skotland, the 1998 documentary television series by TV host, journalist and writer Soren Ryge. The series brought Loreena’s music to the wider attention of the Danish public when it was included as part of the background music. (The Ryge DVD will only be available in Danish, however.) The Journey So Far will be released in Canada, the U.S., U.K. and the rest of Europe in early March 2014. 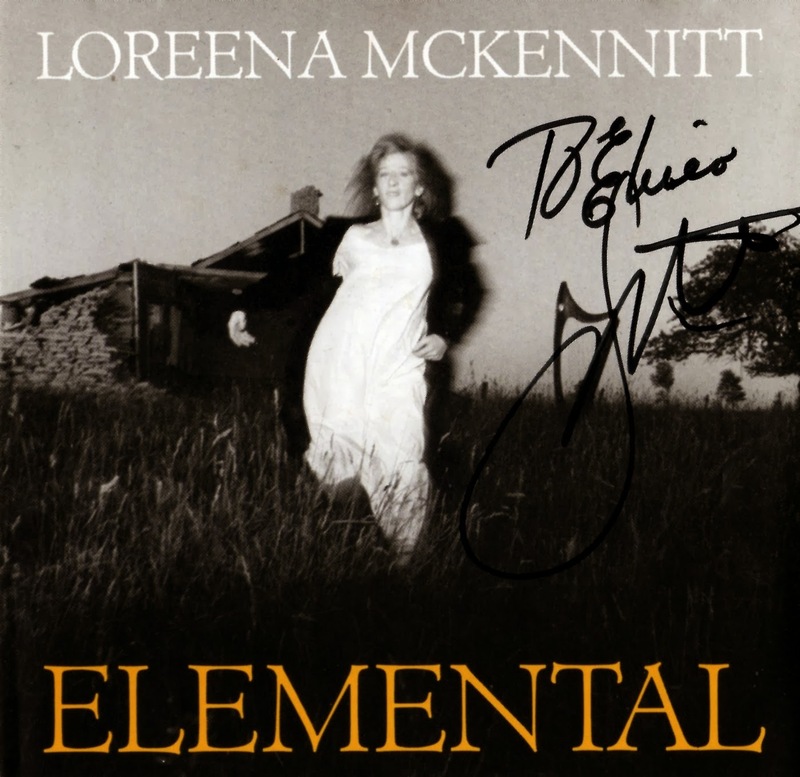 The album features 12 fan favourites, hand-picked by Loreena herself. “When I look back on the road from where I have come, the people I have met, and the places and experiences which have informed the music – or even where we created or recorded the music – I marvel at how rich my journey has been,” says Loreena. “If there is such a thing as a musical travel writer, then I believe I am one.” Songs on the new album include ‘The Mystic’s Dream’, ‘Bonny Portmore’, ‘The Bonny Swans’, ‘The Mummers’ Dance’, ‘Down By The Sally Gardens’, ‘Stolen Child’, ‘The Lady Of Shalott’, ‘Marco Polo’, ‘Penelope’s Song’, ‘Huron ‘Beltane’ Fire Dance’, ‘The Old Ways’ and ‘Dante’s Prayer’. 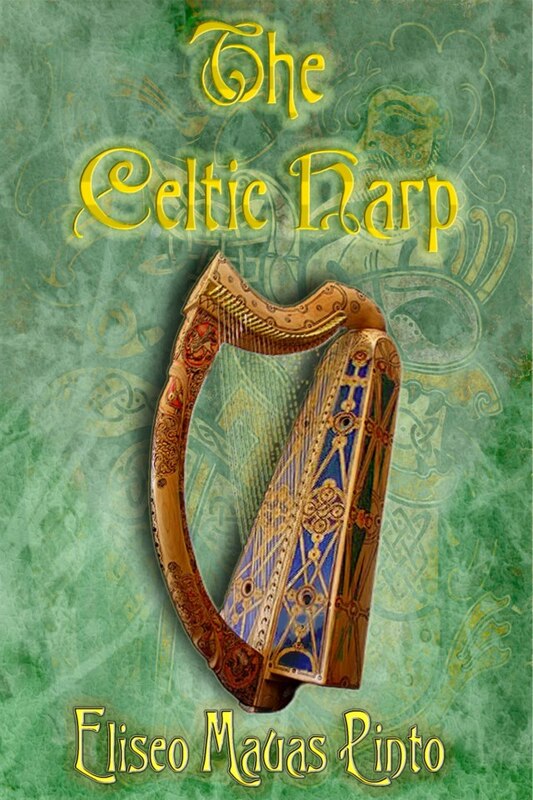 I am flattered to share with you some good news!…The famous harpist Anne Roos, has recently featured a passage from one of my bestselling works: “The Celtic Harp” eBook, on her awesome Celtic Harp Music blogsite. Anne Roos is considered at the top of her field as a Celtic Harpist. She is a many-faceted performer who excels as a soloist in concert, as well as with her ensemble, with her years of experience and extensive music list. Her recorded music has aired internationally and has been described as “lovely” and “enchanting”. Anne’s CD projects demonstrate quality musicianship and versatility. Anne’s albums are unique–Her recent releases are actually little books with CDs tucked neatly into the back page. Anne is also a published author and considered a wedding authority with her two books, “The Bride’s Guide to Musicians: Live Wedding Music Made Easy and Affordable” and “The Musician’s Guide to Brides”, both published by Hal Leonard Books. Feel free to join her Celtic Club and you’ll get a special password to a page where you can download a free mp3 of a traditional Celtic tune that I recorded on solo Celtic Harp especially for this website. A new download will be posted every other month or so, along with notes about the tune. The hills of the Highlands for ever I love. My heart’s in the Highlands wherever I go. Farewell to the torrents and loud-pouring floods. 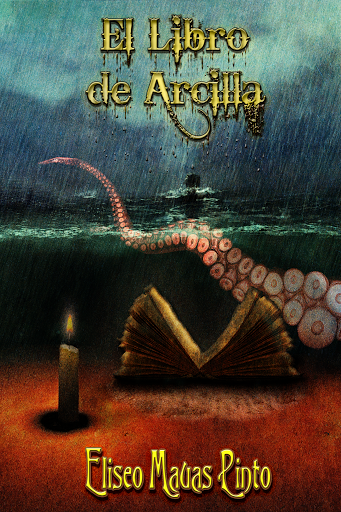 Me complace compartir con Uds mi Nuevo Ebook “El Libro de Arcilla” ahora disponible para Descarga Gratuita desde mi sitio en SMASHWORDS. Con motivo de cumplirse 76 añ0s de la partida del celebrado creador del terror cósmico materialista Howard Phillips Lovecraft, y a 32 años de la primer edición de mi relato breve “El Libro de Arcilla” en la Revista Literaria “Nuevas Letras”, me pareció oportuno compartirlo con Uds en formato electrónico en dos versiones, tanto en español como en inglés. Eran tiempos en que mis interrogantes de juventud se debatían entre lo real y lo desconocido, en los misterios ocultos latentes en las creencias místicas. Por aquellos días, la literatura y la mitología eran mi canal de experimentación y a la vez de descubrimiento. Los relatos de suspenso y de horror eran mis predilectos y como tantos otros lectores comencé devorando páginas y páginas de autores como Edgar Alan Poe , Arthur Macken, y Lord Dunsany, sin pasar por alto la novela de fantasmas góticos de la genial Ann Radcliffe. Mientras sumaba otros tantos volúmenes de literatura medieval, y en especial del romancero Artúrico, comencé a descubrir un nuevo género el de la “fantasía heroica” gracias a un cuento de Robert E Howard (Creador de la saga de Conan el Bárbaro) que aparecía en una antología de varios autores que habían publicado en la prestigiosa revista Weird Tales. Lo mágico y lo épico, lo mitológico y lo fantástico, lo antiguo y lo medieval, se daban cita en este género que comenzó por atraparme. Robert E Howard tenía una prosa increíble y leyendo un día una de sus biografías descubro el nombre de H.P.Lovecraft quien era su gran amigo, y luego todo el Círculo de Escritores que supieron mantener viva la cosmogonía diseñada por él en los Mitos de Cthulu, lo que el mismo Lovecraft calificaría como una pseudomitología, la cual nunca fue sistematizada, pero sí recreada por uno de sus seguidores, August Derleth. Lo que siempre me ha maravillado de Lovecraft y su género, es el modo en que bucea en los arquetipos colectivos, amalgamando los mitos con terrores más reales, aquí ya no hay más fantasmas sino divinidades primigenias de dimensiones ajenas a nuestro cosmos y que luchan por aferrarse a este mundo. “El Libro de Arcilla” es mi primer relato influenciado por esta corriente que me gusta denominar “fantasía neo-terrorífica” y muy emparentado a los Mitos de Chtulu ideados por H.P.Lovecraft. Enrolado ya en esta corriente literaria escribí muchos más que habré de compartir con Uds a modo de Antología en una futura entrega. Los dejo ahora con los personajes y la compañía de un Yo omnisciente que sin desearlo comienza a figurarse que su mundo ha dejado de ser lo normal que era antes. I am glad to share with you my new Ebook “The Clay Book” which is now available for FREE DOWNLOAD at SMASHWORDS. Celebrating the 76th anniversary of the departure of the celebrated “cosmic horror” American author Howard Phillips Lovecraft, and on the 32th of the first edition of my short story “The Book of Clay” on the Literary Magazine “New Writings”, I thought it was appropriate to share it with you on eBook format, both in Spanish and English versions. These were times when my questions of youth were torn between the real and the unknown, into the hidden mysteries and latent mystical beliefs. In those days, literature and mythology were both my channels of experimentation and discovery. The stories of suspense and horror were my favorite ones , and like many other readers I began devouring reams of authors such as Edgar Alan Poe, Arthur Macken, and Lord Dunsany, without neglecting the cute gothic ghost stories by Ann Radcliffe. While enlisting many medieval literature volumes, specially of Arthurian romances, I began to discover a new genre, that of “heroic fantasy”, thanks to a story by Robert E Howard (creator of the “Conan the Barbarian” saga) published on an anthology of several authors who were featured on the Weird Tales magazine. The magic and the epic, the mythology and the fantasy, the ancient and the medieval, were present in this genre I began to discover. Robert E Howard had an incredible prose, and reading one day one of his biographies I discover the name of HP Lovecraft who was his close friend; discovering some months laters the works of all the Writers Circle who kept the cosmogony designed by him in the Cthulu Mythos, rated as a pseudomithology by Lovecraft himself, which was never systematized, but recreated by one of his followers, August Derleth. What amazed me most about Lovecraft and his gender, is the way he delves into the collective archetypes, the way myths amalgamae with real terrors. We can perceive there are no more ghosts but primordial gods of dimensions beyond our cosmos and fighting for clinging to this ordinary world. 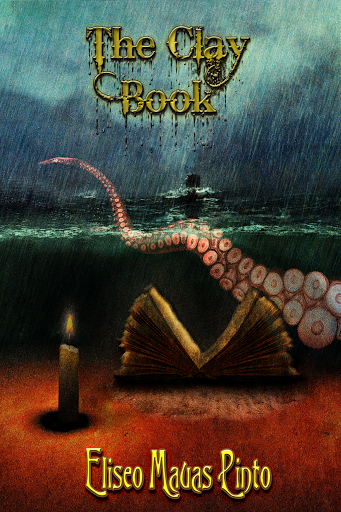 “The Book of Clay” is my first short story influenced by this genre I like to call “neo-terrifying fantasy”, focusing in the Myths of Chulhu devised by H.P.Lovecraft. Enrolled in this literary movement I wrote afterwards many more stories that I will be sharing with you as an anthology in a future issue. I leave you now with the characters and the company of an omniscient storyteller who unwittingly begins to acknowledge that his world has stopped from being as normal as it used to be. Con motivo de los festejos de Lugnasadh y a veinte años de la histórica edición del libro “Legado Celta” he decidido celebrarlo compartiendo con ustedes ésta antología de mis poemas originalmente escritos en lengua gallega y en español, y dos de ellos en lengua asturiana. Como es de costumbre el Arte Digital & Diseño de Cubierta e Interior son de mi autoría, y en este caso especial he decidido realizar este autoretrato junto con mi hermano celta, el músico gallego Bieito Romero, músico fundador del legendario grupo folc Luar Na Lubre, a quienes estoy por demás agradecido por haber honrado con su música mi poema Uah Lúa. Algunos fueron especialmente ideados como letras para la música de “Bran“, proyecto musical con el cual grabara el álbum “Awen“, algunos editados en éste como “Amergin”, y otros inéditos tal el caso de “Xiana”. Para hacer mi obra más extensiva, encontrarán todos los poemas traducidos al español. “Legado Celta” fue un libro de poemas editado en forma independiente en el año 1993 junto a mi entonces compañero de ruta en lo céltico, Manuel Castro Cambeiro. En él reflejamos nuestra reivindicación y sentimientos que conllevan las tradiciones y valores heredados, nuestros deseos, sueños, y convicciones acerca del sentir celta, reunidos por entonces en poemas escritos que evocan el estilo de la poesía bardica contemporánea. En verdad, más que una recopilación de poemas se trató de una invitación para descubrir una tradición común, una identidad aún viva que no debe ser ajena a quienes son partícipes del legado celta. El libro fue impreso oportunamente en una edición en bilingüe (gallego/español), y que lanzamos al público local con una gira de presentaciones, con Manuel en el recitado, y quien escribe en arpa celta. Al pie, un escaneo del arte de tapa de dicho libro. Paralelamente a mis poemas en gallego y español, escribí tambien otros tantos en inglés, algunos de ellos como letra para algunas de las canciones del repertorio de “Bran”. 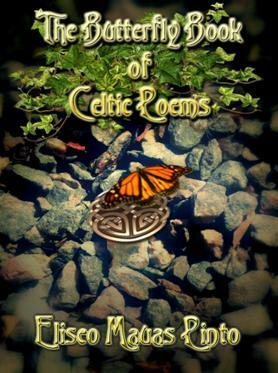 La colección de estos poemas están recopilados en mi libro “The Butterfly Book Of Celtic Poems” editado en formato impreso y electrónico. “Celtia” es esa palabra singular que refiere a todo lo celta, en mi caso elegí el nombre con “K” debido a mi pasión por lo bretón, quienes utilizan dicha letra en lugar de la “C”. “Keltia” es así mi antología de poemas escritos en los últimos 20 años. Es mi bosque sagrado, el lugar de mi inspiración, la raíz de mis antepasados, la tierra mágica de los celtas, mi templo privado y devocional. Sólo hay una manera de encontrar a “Keltia” , la hoja de ruta está dentro de uno mismo… y de nuestros corazones afines; está dentro de la savia única del roble sagrado de los sabios druidas… Aquí está mi energía, y mi luz, y el amor y la paz. Me place ahora compartirlos con todos ustedes. Mi agradecimiento especial a la fotógrafa neozelandesa Cathleen Tarawhiti por la utilización de su maravilloso stock y ser parte de la inspiración en mi primer versión original de “Keltia” fotomanipulación digital que fuera creada para compartir junto a otras de mis obras en la comunidad artística de deviantArt. Podrán obtener una DescargaGratis del mismo a partir del 1 de Agosto desde mi sitio en AMAZON. Comparto con Uds una selección de 60 páginas en animación flash…disfruten y compartan! Creado a partir de la obra en http://amzn.to/133tmNm. Permissions beyond the scope of this license may be available at http://bit.ly/17gosQP.